The leaders of FSU’s EnerJew youth movement came together recently for a year-end staff seminar in Minsk, Belarus. The seminar program focused on the results of the closing 2017-2018 season and was attended by EnerJew’s entire leadership team – mentors, educators, heads of departments, the project’s board and curator – 21 participants overall. 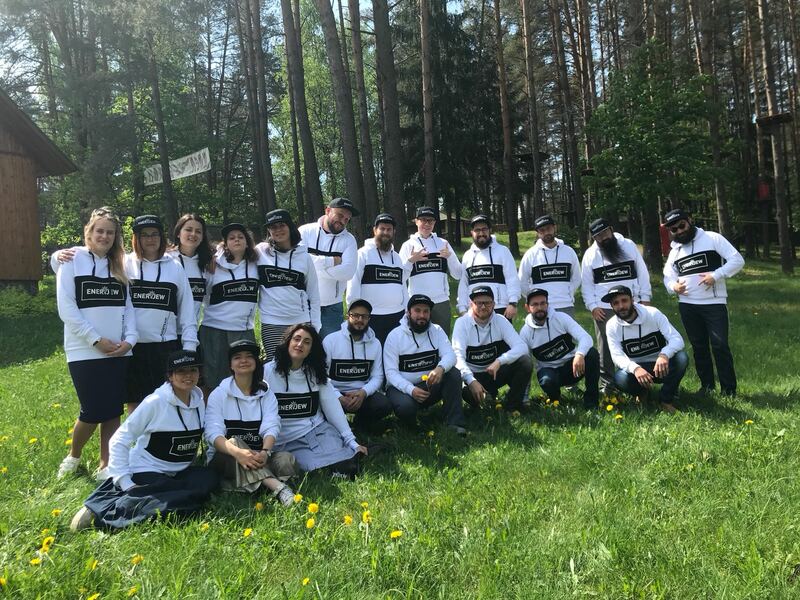 “EnerJew is the single largest Jewish youth movement in the FSU region, which continues to grow rapidly, therefore effective staff communications and problem-solving are a vital part of our successful development,” said Konstantin Shulman, EnerJew project director, after the seminar. There are two annual EnerJew staff seminars, which are attended by the entire team. The first one is a creative team-building seminar at the season’s opening in September, which gets the leaders ready and motivated for the season, provides new informal education skills and techniques. The second one, taking place in late May, is a work agenda seminar that reviews seasonal results, focuses on the strategy for the upcoming seasons and sets specific goals for the new year. At the recent seminar, the EnerJew team focused on several main ideas for next year’s development: “We want to strengthen our connection with EJ graduates and introduce a new role of ‘mentor-interns’ for each city, which will present additional growth possibilities to club coordinators. We are also changing the format of our regional Shabbaton seminars to become larger and longer ‘Shabbaton Festivals’,” Mr. Shulman said. Every team member was responsible for a specific discussion at the seminar: growth strategy, new sub-projects, summer camp programs, the School of Madrichim, online learning programs, this year’s sub-project results. “This was a super intensive seminar, where we really got down every detail of our growth strategy, analyzing and learning from past results and building for the future,” said Eliezer Lesovoy, EnerJew’s educational director. Intensive staff work seminars are an important part of EnerJew’s administrative style, which has been continuously praised by local Jewish communities as very efficient and effective. “We are often asked by various community entities for advice on management strategies, which puts a smile on our face,” Mr. Shulman said. But it is a big accomplishment for an organization that started four years ago with 5 cities, and now closes the year with 41 cities as one of the main players on the region’s Jewish activities map.